With our publishing menu, we offer a wide range of sizes and options to embed your projects into your site. No need for exceptions for certain browsers or devices, Marduq takes care of all that. It even does a bandwidth detection for optimal playback. Network managers might want to distribute some interactive content to multiple videos in their network. For that, the inline options are also available. 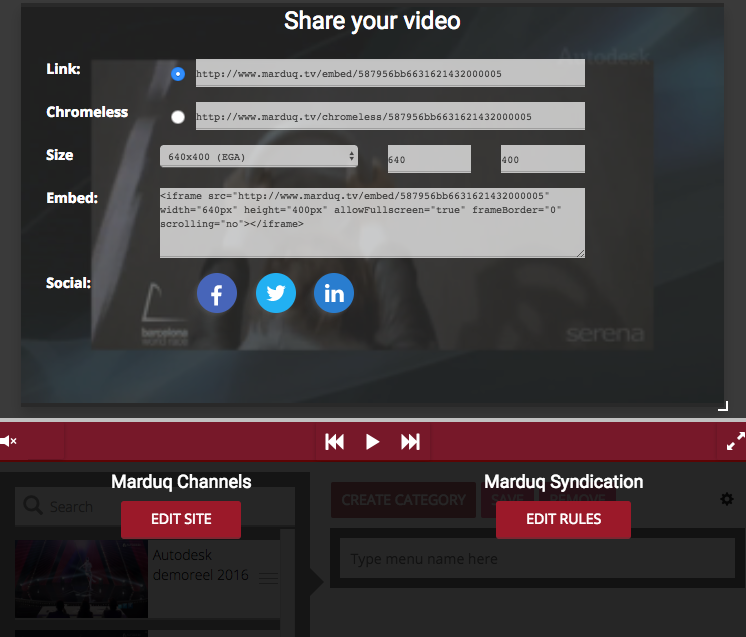 It can even be combined without 'syndication' option that allow for selecting video on-the-fly based on tags or other metadata of the video.